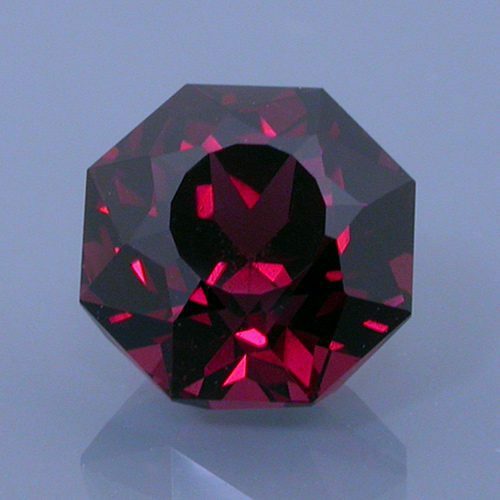 Rhodolite Garnet, Selected Gemstone (Natural), Africa. © Hashnu Stones & Gems. Used with permission. Every distinctive, precision faceted gemstone I cut has a wonderful, personal tale to tell. My customers come to my lapidary studio with dreams. As a precision faceter, I’m committed to making their desires and visions converge perfectly in gems that reflect their individual stories. In this five-part series, I’ll explain the decision making process and the benefits of working directly with a precision faceter when it’s time for a story gemstone of your own. 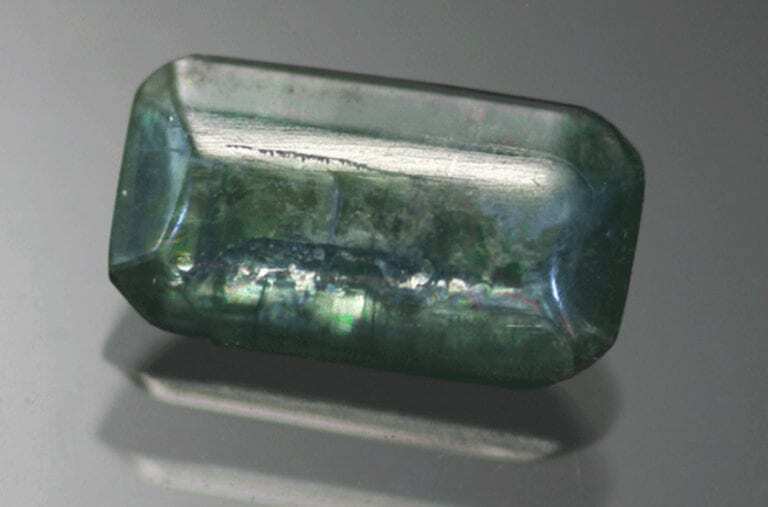 Each article in this series will tell the story of a new customer and focus on one of the steps for creating a one-of-a-kind story gemstone. Understanding the client’s story is essential to this process. At Hashnu Stones & Gems, our goal is to never make the same gemstone twice (unless requested). Each gem should be unique. For this series, I chose these faceted stones both as examples of my precision work and as representations of my customers’ stories. 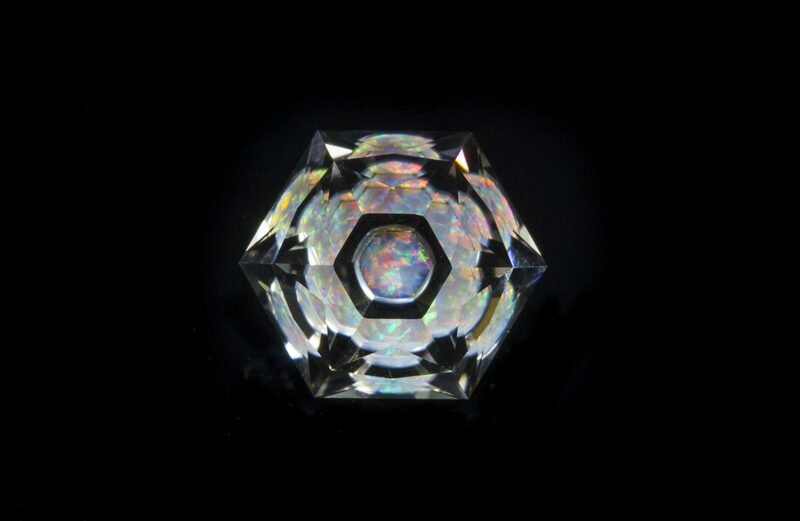 The articles will also include photos of designs, equipment, and the gems themselves throughout the faceting process. Tom wanted to do something very special for his wife, Lilly, for their forty-fifth anniversary. A friend informed him that garnet was the traditional gemstone for such an occasion and suggested that a garnet piece of jewelry would be an excellent gift. 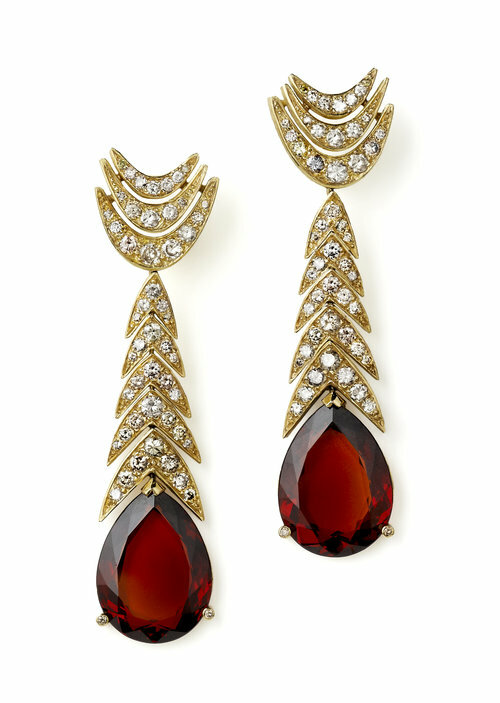 After visiting several jewelry stores, Tom was overwhelmed by the great variety of garnets and settings. 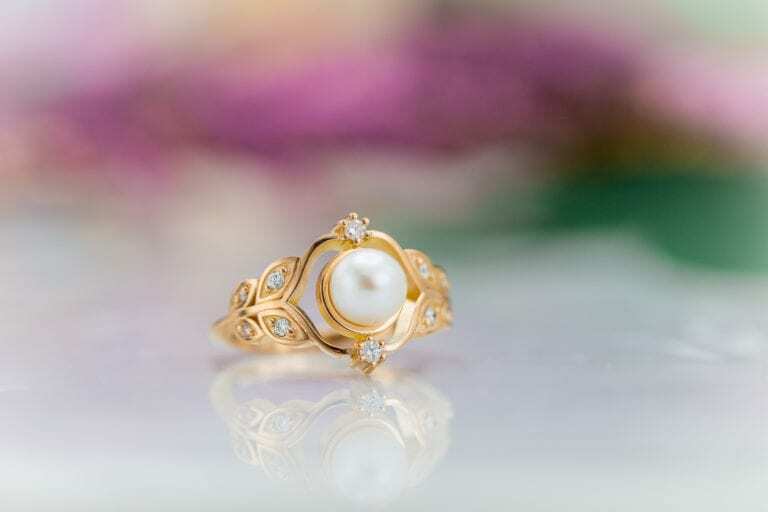 Luckily, one custom jeweler offered to create a uniquely designed piece. He asked Tom what he was looking for. “Something grand,” Tom replied. At this point, the jeweler brought me into the process. He inquired if I had any “grand” garnets. 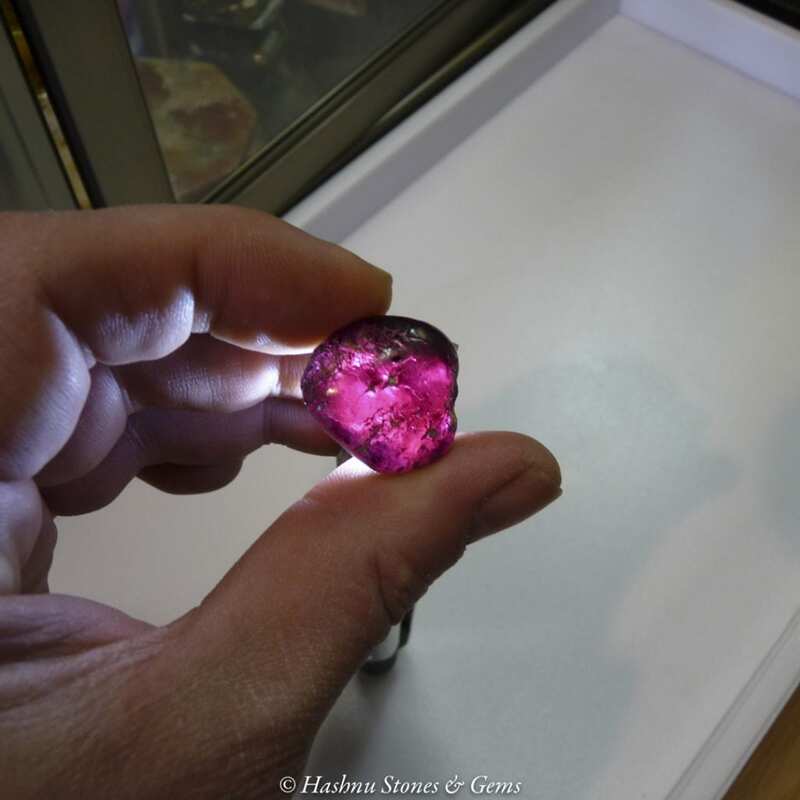 Fortunately, I had a very large rhodolite garnet weighing 70 plus carats. 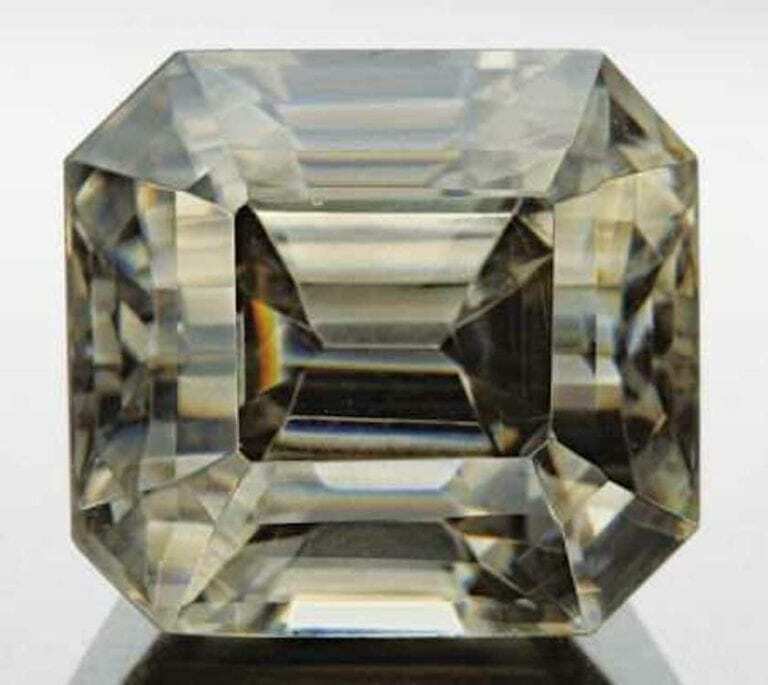 We all decided that faceting a gem this size would fit the bill. Tom, the jeweler, and I met on three separate occasions to create a design for a gemstone and pendant that would give Tom and Lilly a truly grand anniversary. The first step to making a gemstone a part of a customer’s story is selecting top-quality rough stones. This is where clients start (or continue) their education in the complex and fascinating world of gemstones. 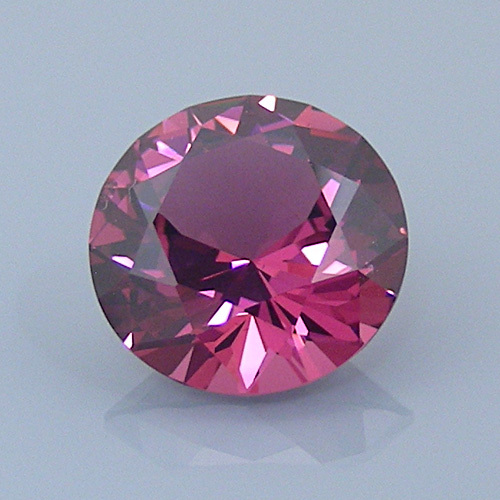 One of the most important factors in choosing a gemstone is color. This has to be the client’s choice. Other factors, such as anniversaries, birthdays, or just personal favorites, may also play a role. Faceters can present a variety of beautiful stones to clients. However, clients will ultimately be drawn to a stone because of a particular color, shape, phenomenal effect, or a long-held desire. Sometimes, just a feeling that this is what they want when they see it will make the difference. 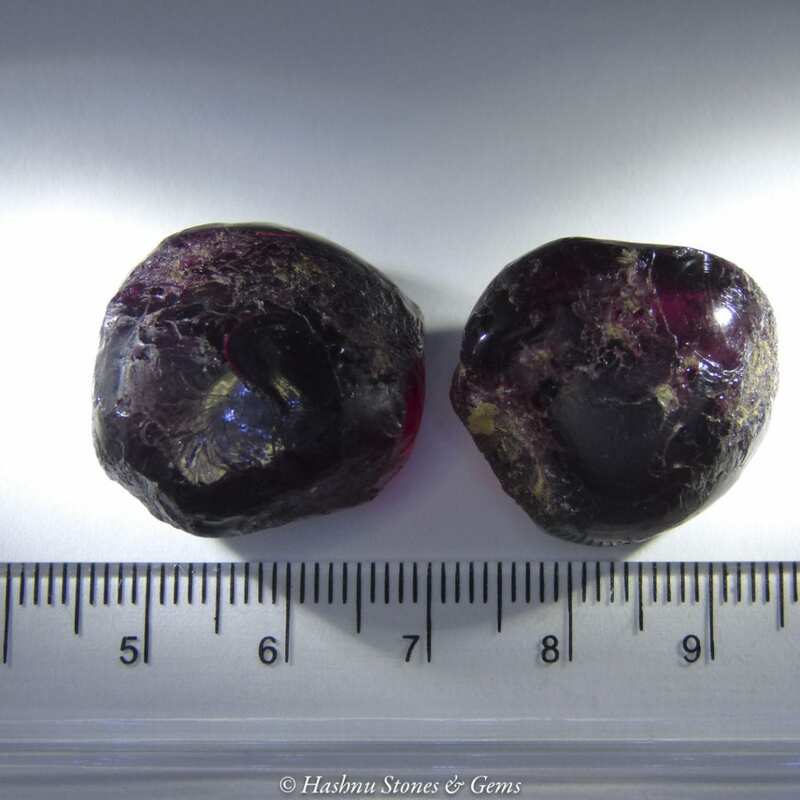 Rhodolite Garnet Selection (Natural), Africa. © Hashnu Stones & Gems. Used with permission. Once clients decide on a type of colored or clear gemstone, they can select rough from a vast arena, possibly from locations all across the world. Now, the conversation moves to the attributes of the chosen material: color saturation, clarity, size, source, and ethical concerns. These choices will set the stage and the cost for the finished gemstone. Here, on the International Gem Society (IGS) website and through the IGS Certification Course, you can learn about all types of gemstones. 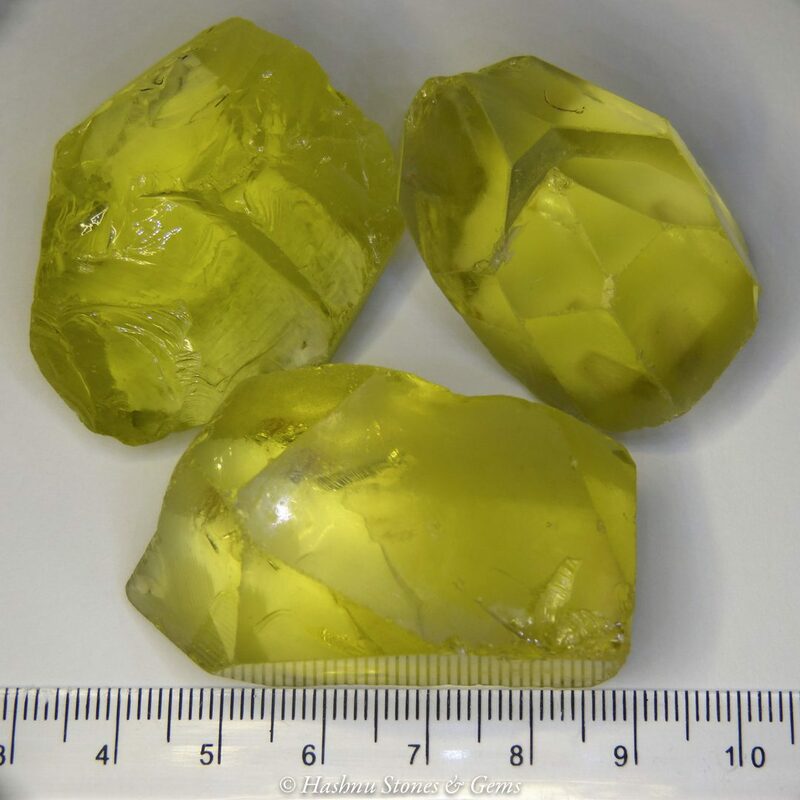 Once the rough is chosen, the faceter and client must now discuss the size of the finished story gemstone and the fees for buying and faceting the stone. (Some clients may provide their own rough stones that may have special significance to them). If the faceter doesn’t have the requested rough stone in their inventory, either the client or the faceter will need to locate and purchase it. Each faceter may handle this differently. I prefer to locate and purchase the stone for my client. Since I’m an international broker in rough gemstones, I can be sure of its source and stability and provide it at a reasonable price. 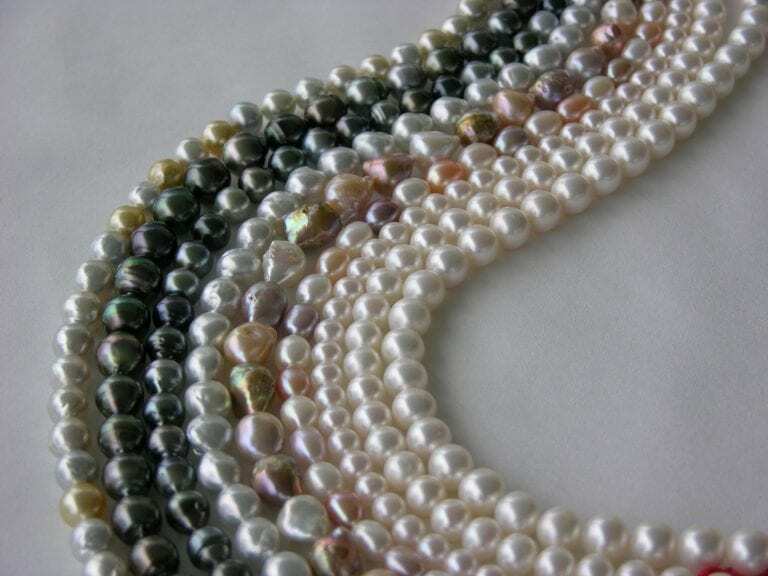 Once the stone has been selected, the faceter draws up an invoice or contract. Then, the client makes a down payment (usually the cost of the rough gemstone). 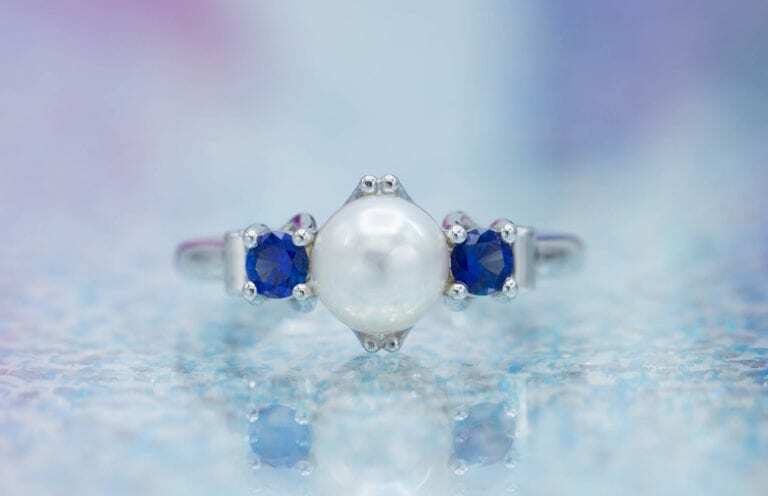 Both should agree on a delivery time and the final shipping destination for the gemstone. Understanding the attributes and qualities of rough is critical to the design and beauty of the final gemstone. Starting with an exquisite, hand-selected, natural, rough stone will set your creation far apart from the mass-produced, factory-cut gemstone market. Your gemstone design and faceting will be a cut above that of the gems in retail chain stores. Furthermore, the education you went through to choose exactly the gem you wanted has set your story in motion. 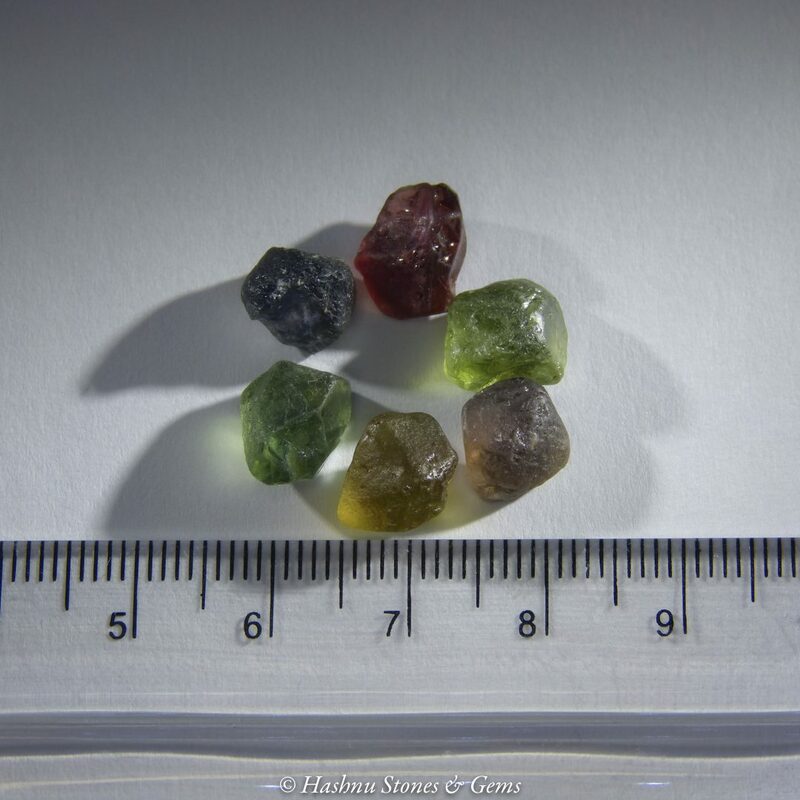 The rough gems pictured below come from the inventory of Hashnu Stones & Gems. In the articles to come, you’ll learn how each one became a story gemstone and take another step in the precision faceting process. Aquamarine Selection (Natural), Unknown. © Hashnu Stones & Gems. Used with permission. 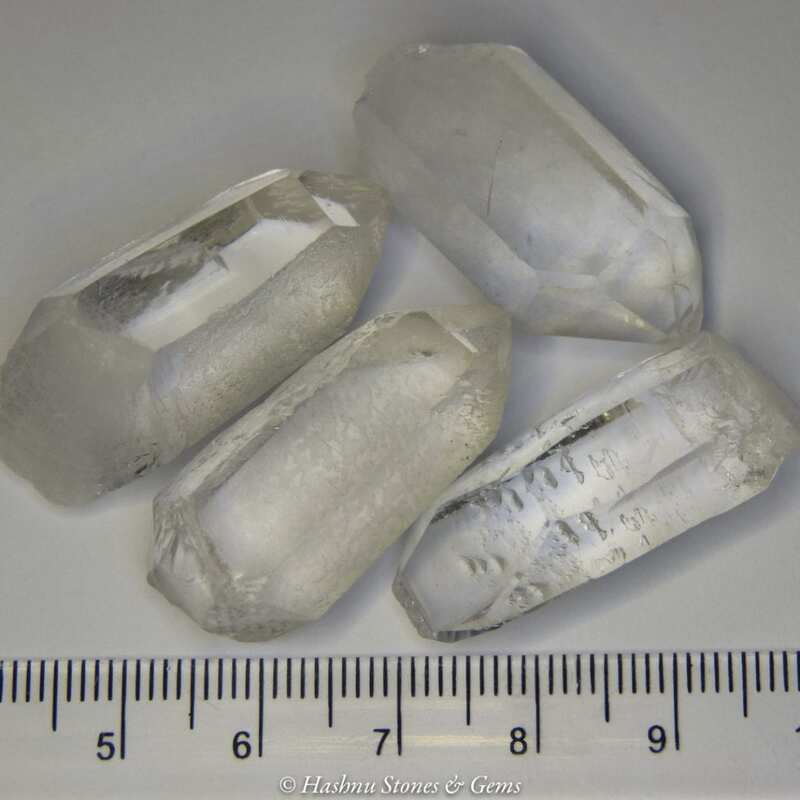 Clear Quartz Selection (Natural), Arkansas, USA. © Hashnu Stones & Gems. Used with permission. Oro Verde Quartz Selection (Irradiation and Heat), Brazil. © Hashnu Stones & Gems. Used with permission. 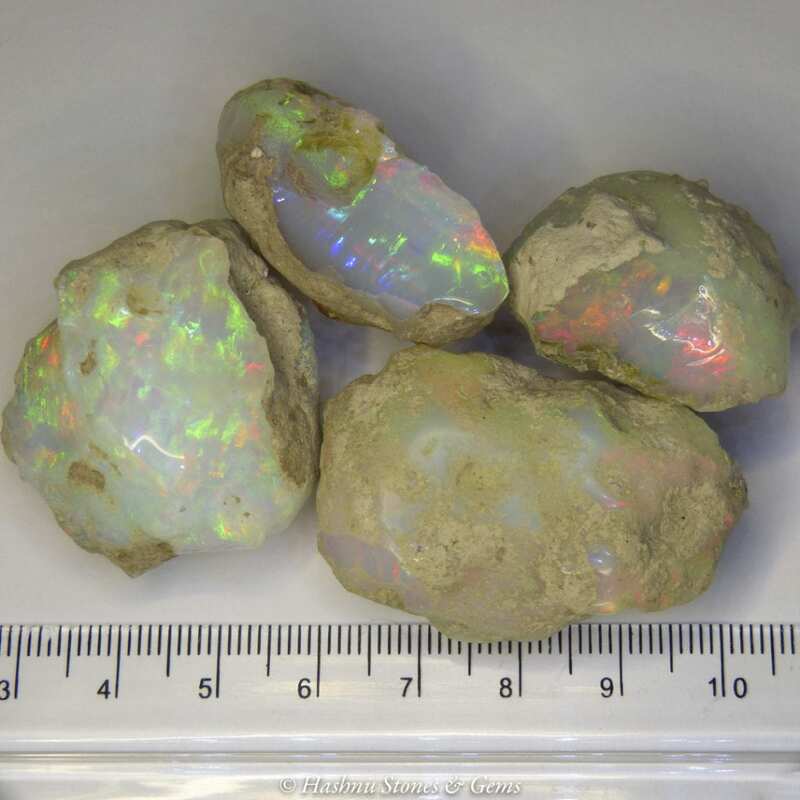 Opal Selection (Natural), Welo District, Ethiopia. © Hashnu Stones & Gems. Used with permission. 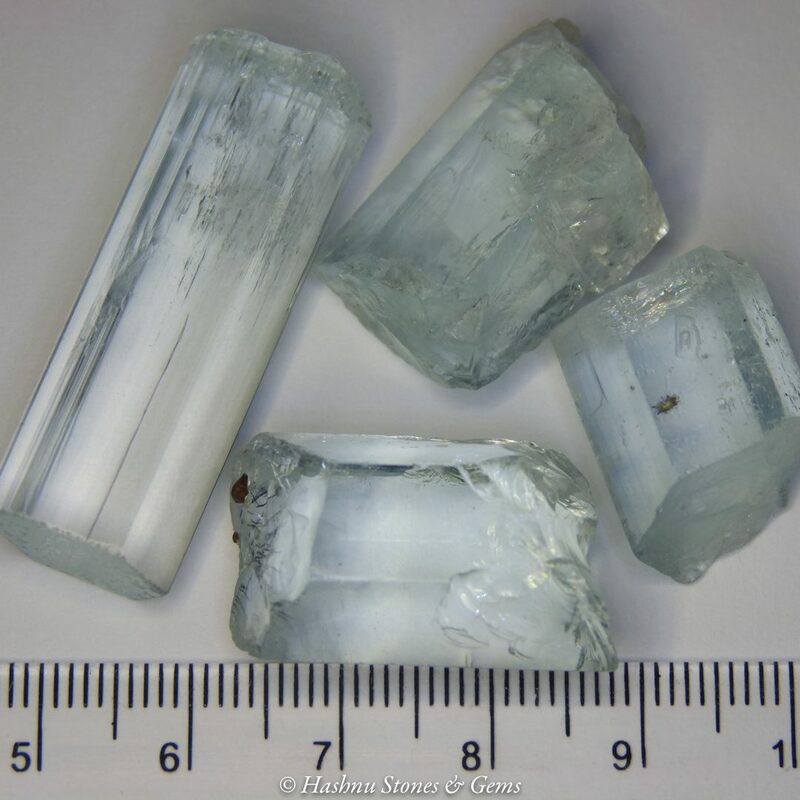 Sapphire Selection (Natural), Songea, Tanzania. © Hashnu Stones & Gems. Used with permission.